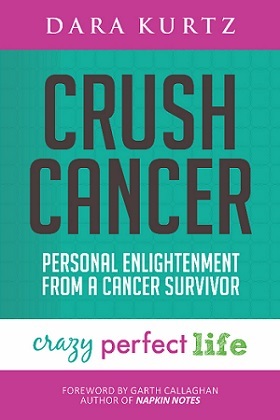 EYE: What is it about your blog “Crazy Perfect Life” and your book, Crush Cancer that resonates with readers and blog followers? 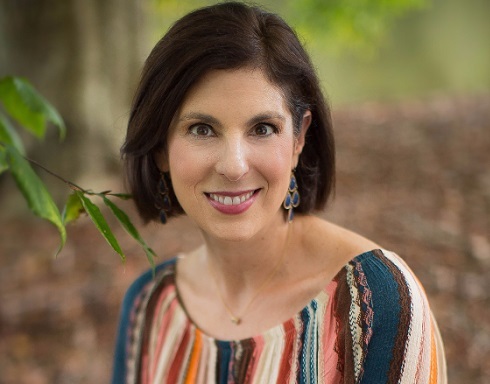 DARA: What I keep hearing over and over again is how real and honest the book is and how the style of my writing makes readers feel comfortable. 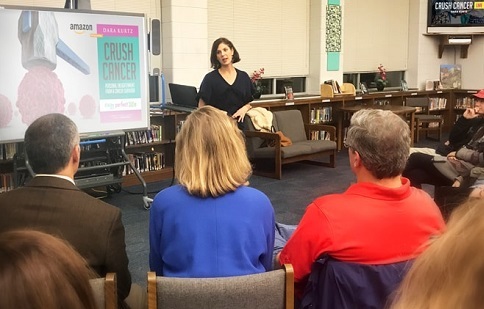 EYE: How does Crush Cancer fill in and provide guidance for cancer patients and survivors that a doctor, the internet or friends who mean well cannot do? DARA: Let me take you back to the beginning. When I was going through my treatment and in the middle of really going through chemo, everyone sent me flowers. At one point, we had over 20 different flower arrangements and eight different orchids in my house. Crazy! The school guidance counselor called me and said, “Dara, you need to get rid of the plants, the flowers because your house looks like a funeral home. It is causing your daughters a lot of anxiety.” At the time, my youngest daughter was 11 and my oldest was 14. So we got rid of everything, but I realized I didn’t need flowers. I needed inspiration. I needed someone to tell me how to get through the hardest part of my life. 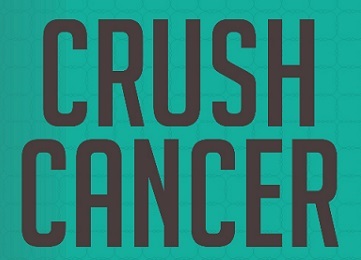 That’s what I am hoping Crush Cancer does for people. I am hoping that it’s good for them when they find themselves in a space they never thought they were going to have to be in and it provides maybe the companionship they need to get through and give them hope that they can survive a very challenging situation. EYE: Did you start writing while you were in treatment? I did not write one sentence the whole entire time. I was not a very happy person; I was feeling sorry for myself. I wasn’t one of those people that sailed through chemo; it was really hard. It is probably the hardest thing I have gone through in my life. I just didn’t want to write. 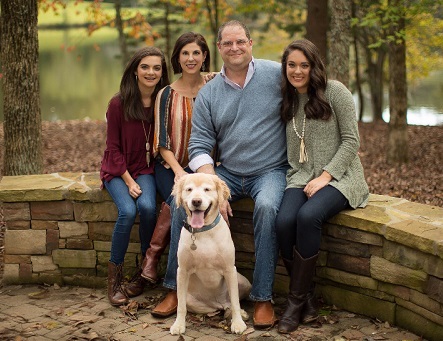 EYE: So why and how did you make the transition from a 20-year career as a financial advisor to writing a book, workbook, your blog and your online course? DARA: First, let me say, this is a whole lot more fun than thinking about money all the time. I never would have thought that I would be doing what I am doing today but it feels 100% right. When I was finished going through treatment and it was time to go back to work, I knew that I wanted to find my voice. I had a lot to say. I didn’t really know how to do that! That’s when I started my blog, “Crazy Perfect Life.” I did not know what to expect but it took off and seemed to resonate with a lot of people. That led into writing the book. EYE: Did your career in the financial industry help you in any way with your writing or the way you handled your cancer process? DARA: I’ve been conditioned to figure out what the problem is and then provide a solution with my past work in the financial industry. I’m sure this way of looking at things carried over into my cancer experience. I did a lot of speaking one on one when I met with clients, and I’ve always loved connecting with people. This probably carried over as well. EYE: What was your greatest struggle facing cancer? DARA: I struggled with the fact that it happened to me at age 42. I didn’t want this to be part of my story. I didn’t want this to have happened to me. I found it hard to make peace with that. I also really struggled with the guilt for the fear my young daughters carried around because of the fact their mom got diagnosed with cancer. I finally came to the realization that there was nothing I could do about it. It happened. It is what it is. When I learned to accept that and really deal with it all the feelings that came along with that, then I was able to get to the other side. That was incredibly important as part of my healing process. Dara shares her positive and inspiring message. EYE: Did you surprise yourself in getting through this process? DARA: You finish all your treatments – really it takes about a year to get through everything – when the doctors say, “Okay! You’re done. It’s time to get back to living your life.” I didn’t know what to do. I didn’t know how. I didn’t know what that meant. That’s when I did a lot of work on myself. I started meditating, focused on my yoga, wrote in my journal and took a lot of long walks by myself. I just really let myself go to that place where I thought about all of my fears and all of the scary thoughts. I realized I was a lot stronger and I had the ability to help myself get through that process and come out on the other side a lot stronger. EYE: How do you beat that feeling of ‘enough is enough’ that many cancer patients go through? DARA: It is hard. I would never ever say that it isn’t. When I lost my hair and I was going through chemo, I felt horrible. I would look at myself in the mirror and would think, I don’t want to do this anymore. I don’t want this to be me or my life. But then again, it is a choice. You can channel your energy into feeling sorry for yourself or you can decide to move forward and maybe do something fun that day, even if you’re not feeling so good. You have to decide you want to help yourself. EYE: How do you initiate that kind of positive response? DARA: I think you have to realize that some days you may just want to lay in bed and have a pity party, and that’s okay. That’s where the tribe, a term for close friends and family that I use, come in. Friends who would come over to visit say, “Get up. We are going out for lunch! I am not taking ‘no’ for an answer. I learned it was okay to lean on people and accept help. That was challenging for me, also. EYE: Is it tough for you to talk about cancer? It didn’t. I felt pure happiness and gratitude for being where I am and for the ability to help the people who are in that same situation. EYE: What has changed for you? DARA: Now I really do wake up and set the intention for the day ahead of me, instead of letting the day happen to me. I try to be active. I definitely don’t take it for granted. I live with gratitude now more than I ever have before. EYE: Did you have any special counseling to help you? DARA: I spent a lot of time working on myself – journaling, yoga, meditation, counseling – I think the culmination of everything is what got me through. It was when I finished all my treatments that I realized I was miserable and I knew I didn’t want to live this way. That’s when I decided to do something about it… I was getting on my own nerves! EYE: Was someone a mentor to you in your newfound writing career? DARA: I grew up in a family where my mom was very entrepreneurial. She started her own school, was a counselor and was starting her own business when she passed away. She taught me that if you want to try something, try it….what’s the worst that can happen? It doesn’t work. Then you figure out something else. My mom inspires me still. EYE: Now, I chose three areas for advice: First, what is the best thing a cancer patient can do for her/himself? DARA: Cancer patients should let themselves feel and don’t hold back. Let yourself feel angry, cry, sad; don’t feel silly or guilty for getting cancer. Don’t judge yourself. Let yourself go through that and then make sure you let yourself experience the beauty that is all around you, even if you are going through treatment and really hard days. EYE: Next, what is the best action a family member or friend can take for a cancer patient? DARA: Family members and friends should do whatever it is they think they want to have done, get, want or need if they were going through it. Make a meal and drop it off. Pick up magazine or reading materials, a scarf, lotions and bring it by. These kinds of comments are really not helpful at all. I was feeling anxious and I was dealing with my own feelings and then to have friends say those things would set me off. It’s an anxiety on me that I didn’t need to add. EYE: Finally, what are the best steps a cancer survivor can do after being grateful? DARA: After being grateful, a survivor should expect things to happen. You went through it, dealt with it. Have faith in the doctors, the team, research, all the good things you did. Expect it to have worked. Expect it that you are done with cancer. Go on with your life. Don’t use your days worrying about cancer or having a dark cloud over your head. I don’t live that way. Focus your energy in a way that you can control. Eat healthy, exercise every day, meditate, take really good care of yourself, get the right amount of sleep. Instead of worrying about all the things you cannot control, focus your energy on how you can do to be the best version of yourself. EYE: What do you still want to accomplish? DARA: I want to experience as much as I can. There is so much to always learn. I want to connect with people and show them that life can be hard and they can get through it. If I can get through something, coming out the other side feeling stronger and better because of it, they can also. EYE: Thank you, Dara, for your honesty, inspiration and genuine compassion for everyone touched by cancer. Crazy perfect life is something I think applies to us all! Continued success and good health in all your next chapters.